Arrival at Nelspruit Airport and collection of your hire car. A scenic drive will take you toKruger Park Lodge, only 10 minutes drive from the Phabeni Gate into the Kruger National Park. Tucked away between miles of untamed bushveld lies an oasis of lush green lawn, flowing water and all the luxuries of a private and gracious lifestyle. 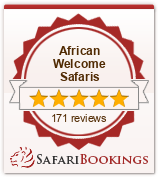 Built on the banks of the Sabie River, Kruger Park Lodge offers guests luxury accommodation. Spend the next few days exploring the Panoramic route – with many activities on offer, such as Blyde River Canyon , Bourkes Luck Potholes, Bird Watching, Golf, Elephant Rides or just relaxing by the sparkling pool. Easy entry for day trips into the Kruger National Park itself, the gate being within easy proximity to the lodge. Your family’s requirements will be taken into account by your ranger – making this an enjoyable experience for adults and children alike. Return to your camp for a hearty brunch, followed by the rest of the afternoon at leisure – joining your children on the child friendly activities offered by Khoka Moya. Wait in anticipation for your night drive returning to the camp – sitting around a camp fire to discuss your day and exchange stories. Enjoy dinner in the boma served under the African skies. Please contact one of our travel consultants to tailor make your Dream Family Holiday. This package has been based on the accommodation mentioned – we can however, accommodate your specific requirements and budget ! The costs are based on 2 adults travelling with two children under the age of 12 years old. Please send us your specific family requirements and we will tailor make your South African holiday!